An MP has told the House of Commons Lincolnshire does not want a proposed eco-town to be built. The former RAF site at Manby was identified as one of ten possible sites for a new town, but East Lindsey Council rejected the idea. Some claim the town would be a model of sustainable living for the future. 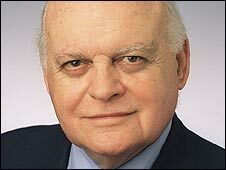 But the Conservative MP for Louth and Horncastle, Sir Peter Tapsell, said it would increase car journeys with no major rail services close to the site. He told the Commons on Tuesday: "Manby is more than an hour's motor drive from the nearest mainline railway station and in the middle of some of the best agricultural land in Europe, at a time when the world is facing food starvation. "So can we have an assurance that no devices in the planning system will be used to overcome the wishes of the overwhelming majority of local people not to have an eco-town in Manby?" The 5,000-home plan had already made a government shortlist of developments described as "carbon neutral". East Lindsey District Council voted to withdraw the plans at a meeting last week after protests from residents.